On Monday morning, Lion Air Flight JT 610 crashed into the Java Sea shortly after takeoff from Jakarta. 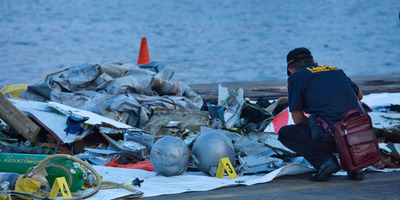 Rescuers were still searching for the wreckage on Tuesday. The crash is believed to have killed all 189 people on board. The budget airline is based in Jakarta and is Indonesia’s largest domestic carrier. The popular airline, which began operations in 2000 and flies primarily throughout Southeast Asia, has expanded over the years. In 2011, it placed a $US22 billion order with Boeing to expand its fleet. And in 2018, the company confirmed its order to buy 50 Boeing 737 MAX 10 narrow body jets worth $US6.24 billion. Monday’s crash, which happened just 13 minutes after takeoff, marked the first critical incident involving the new 737 Max jets. Despite its grip on the market, Lion Air has been criticised in the past over poor operational management and safety measures, which led to its exclusion from operating in European airspace in 2007 because of safety concerns. That ban was lifted in June 2016. And on Sunday, just a day before the fatal crash, the same jet experienced technical issues with its altitude and airspeed readings, forcing the captain to hand over control to the first officer, according to logs obtained by the BBC. Monday’s crash was the latest in a string of at least 15 safety incidents involving Lion Air over the last decade and a half. In January 2002, a Lion Air flight crashed after attempting to takeoff in Pekanbaru. As the plane prepared to take off from Pekanbaru-Sultan Syarif Kasim II Airport, the aircraft did not become airborne, leading the captain to abort the takeoff and apply the brakes. The plane skidded and hit trees before stopping about 275 meters (300 yards) from the end of the runway. There were no fatalities but the plane was declared damaged beyond repair. In November 2004, a Lion Air plane skidded off the runway during heavy rains in Solo, Central Java. The flight, headed from Jakarta to Surabaya, hydroplaned and overshot the runway upon landing, crashing into a fence. The accident killed 25 people on board, including the captain. In March 2006, a Lion Air plane from Bali to Surabaya crashed when touching down on the runway. The plane’s left engine thrust reverser was noted out of service prior to departure. When arriving at Surabaya’s Juanda Airport, the plane was thrust to the right and skidded off the runway. There were no fatalities, but the aeroplane was written off. And in December 2006, another one of the airline’s plane’s crashed while landing. The flight, which departed from Jakarta, landed with an incorrect flap configuration, causing it to be disaligned with the runway. The plane swerved down the runway, sustaining significant damage including a detached landing gear. There were no fatalities but the plane was damaged beyond repair. In June 2007, the European Union announced a ban on 51 Indonesian airlines including including Lion Air because of unsafe practices. The decision followed reports of deteriorating air safety standards and deregulation of the country’s aviation sector in the late 1990s, Reuters said. In February 2009, one of the company’s flights landed with broken nose gear. The Indonesian National Transportation Safety Committee reported that the flight to Batam likely had a broken nose gear which moved out to the nose wheel well structure. And just a month later in March 2009, a Lion Air flight from to Jakarta ran off the runway upon landing. In March 2009, the flight sustained substantial damage upon landing. It was predicted that the aircraft “was not stabilised” in its approach to the runway. Passengers and crew were evacuated via a door escape slide, and no one was injured. In November 2010, a Lion Air flight from Jakarta to Pontianak overran the runway upon landing. A few people sustained minor injuries. The accident reportedly caused the Supadio Airport in Pontianak to close for several hours. The Indonesian National Transportation Safety Committee reported there had been 13 previous pilot reports indicating issues with the automatic speed brake deployment on landing between September and October 2010, according to AV Herald. Despite maintenance, the issue was unresolved before the landing fail. April 2013, a Lion Air flight from Bandung to Bali landed short of the runway and landed in the sea. The aircraft’s fuselage broke into two parts, but all 108 crew and passengers were evacuated safely. In August 2013, a Lion Air plane collided with a cow on the runway when landing in a province on the island of Sulawesi. The plane from Jakarta skidded off the runway and hit one of three cows that had wandered into the area. No passengers aboard were injured. In February 2014, a Lion Air plane flying into Surabaya bounced upon landing, injuring several passengers. The aircraft experienced four bounced landings after first touching down. Two passengers suffered serious injuries and three passengers suffered minor injuries. The aeroplane was substantially damaged but later repaired. In February 2016, a Lion Air flight to Surabaya overran the runway on landing. Indonesia’s National Transportation Safety Committee said in its final report on the incident that that poor crew management contributed to improper landing procedures. As a result, the NTSC recommended that Lion Air, and other Indonesian airlines, improve their pilot training. In June 2016, the European Union removed Lion Air from its blacklist. In April 2017, fuel spilt onto the tarmac at Surabaya’s Juanda International Airport from a Lion Air aircraft’s wings. Some 300 litres (80 gallons) of fuel reportedly poured out onto the tarmac from the aircraft’s wings. All passengers were evacuated and the plane was grounded and inspected. In August 2017, a Wings Air flight, a subsidiary of Lion Air, and a Lion Air flight collided on the Taxiway at Medan airport. The two planes collided at Medan’s Kualanamu International Airport as the Lion Air flight had just arrived and the Wings Air flight was preparing to depart. No one was injured in the collision, but both planes sustained damage. The accident was reported to be a miscommunication about inbound and outbound traffic. In April 2018, a Lion Air flight had to be evacuated after a runway excursion. During the flight’s descent, heavy rains impeded visibility and the aeroplane skidded to the left of the runway. Passengers were evacuated and there were no fatalities. And on October 29, Lion Air flight JT 610 from Jakarta to Pangkal Pinang crashed with at least 189 on board, including passengers, crew, and pilots. The incident marks the 15th accident involving a Lion Air plane over the last decade and a half. The Boeing 737 MAX 8 was the company’s newest and most advanced jet. The flight crew contacted air traffic controllers for permission to turn the plane around just minutes after takeoff but lost contact with authorities leading up to the crash. It is believed that everyone on the plane did not survive. Relatives are still searching to find traces of their loved ones, though only debris and body parts have been recovered, Reuters said. On Wednesday, Indonesia’s military said search and rescue teams may have found part of the plane’s body. 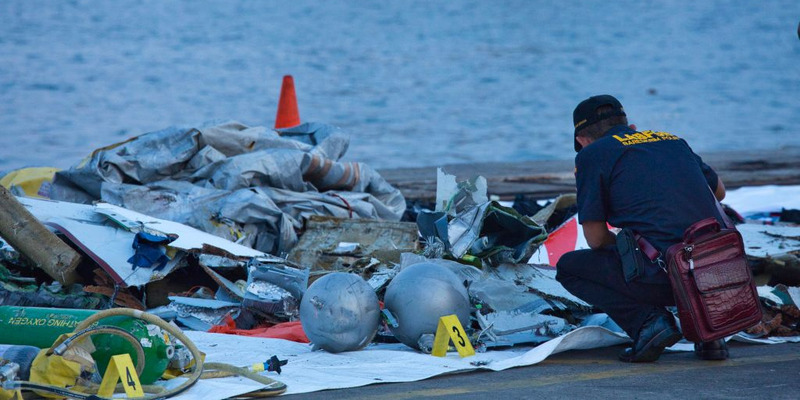 Divers are still trying to locate the plane’s blackboxes. No information has been released yet on why the plane crashed into the sea 13 minutes after takeoff, though FlightRadar24 data shows the plane moving erratically in its first few minutes. The plane experienced a 726-foot (221 meter) drop over 21 seconds.